Have you just wanted to unplug and hide all the electronic items that have screens in your nanny house? Do you have kids that say “I’m Bored?”. It can be tough at times to come up with fun and new things to do that don’t involve a screen. Over at the Kids Activity Blog they have compiled a list of 100 TV Free Activities! ◾Go BIG. Make a gianormous dry erase mat for your kids to doodle over using a shower curtain. ◾How fun! Make playdough for your kids out of marshmallows! You can eat it afterwards for a sugar rush. ◾Frozen Sparkly Paint – Making ice paints is a great way to cool as you play. ◾Send your toys on an expedition! Make a LEGO zipline across a room in your house, fasten your toys and watch them soar across the room. ◾Aqua Sand – it’s mesmerizing and will keep your kids entertained pouring sandi into water and pulling it back out again – dry! 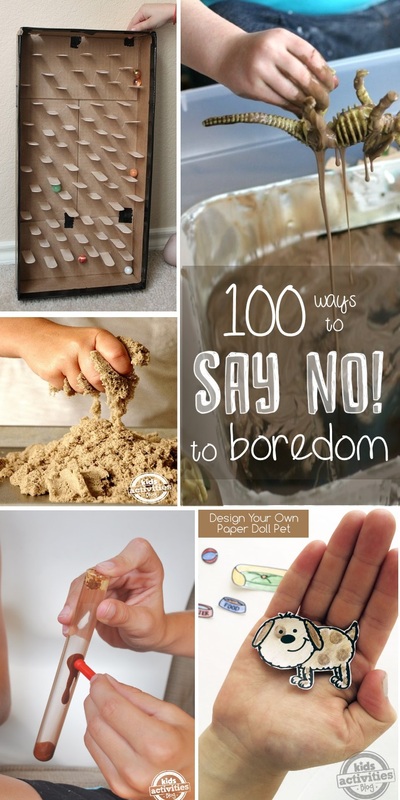 This are just a few of the 100 activities you can do with your kids. These sound like so much fun! You could even write them out on note cards and place in a big jar and the kids could draw one or two of them to do that day.